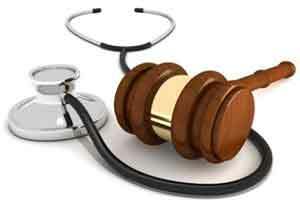 Much awaited relief for Doctors in cases of “Unwarranted Caesarian” -Allegation worth Rs. 20 lakhs+ against Doctors was rejected. The National Commission in its judgment dated 17th July, 2017, rejected the Complaint of Rs.20,27,350/- in the case of KUNDAN LAL JAYASWAL & ANR V/s. DR. MALA PANDYA (THAKKAR) & ANR, Mumbai. 2 It was alleged by the complainants that the bill was prepared fraudulently and complainants were cheated, in as much as, an amount of Rs.700/- was demanded towards HGT and only then the patient was discharged. The patient was charged for the doctors, who did not attend the patient. 4. The Doctors refuted all the allegations. In the interest of mother and new born, the decision of LSCS was taken to avoid complications; LSCS was successfully performed after due consent from the patient and her husband and therefore, there was no negligence on the part of the opponents. the State Commission dismissed the compliant and hence the appeal was filed. 1. 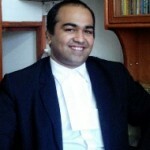 The National Commission dismissed the appeal after perusing the record and hearing the parties and held that as the double loop of cord was present around the neck of fetus, the emergency LSCS was performed by Dr. Mala Thakkar alongwith Dr. Kansariya, under spinal Aneasthesia, which was administered by Dr. Jyoti Thite. Strangely, the husband and relatives were reluctant as they wanted to wait till evening for the Normal Delivery. The operation was performed under high risk consent and the consent form was signed by her husband, Mr. Arvind and the patient herself. 2. It refuted the contention of the Complainant that the patient has to remain life-long on medication and she would not have normal delivery ! 3. It also observed that the complaint was highly inflated to confer jurisdiction on the State Commission. however it ordered to refund Rs.5000/- with interest , charged by the Doctors as fee for rounds. It reminds me the famous judgment of UK Supreme Court which held that “Giving birth in the “natural” and traditional way or giving birth by caesarean section (unless she lacks the legal capacity to decide) ” is the choice of a Pregnant woman !!! Montgomery V/s. Lanarkshire Health Board (Scotland). It further held that “Pregnant women should be offered evidence-based information and support to enable them to make informed decisions about their care and treatment. Gone are the days when it was thought that, on becoming pregnant, a woman lost, not only her capacity, but also her right to act as a genuinely autonomous human being” Her Ladyship observed while concluding her judgment !!! !